Pascal Clement was born in the village of Savigny-les-Beaune to a family of growers, where his father founded the Maison in 1950. 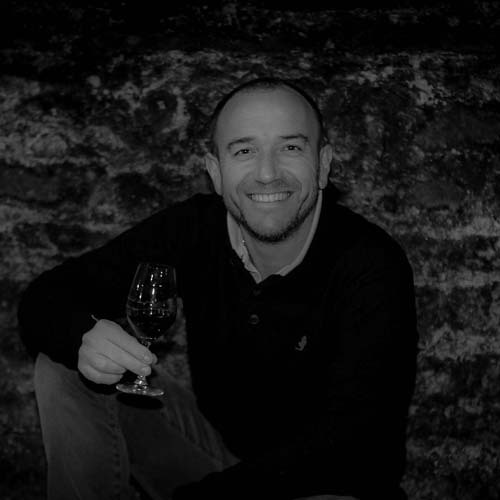 After over 20 years as a grower and winemaker in the region – including his time at legendary Domaine Coche-Dury in Meursault - he launched his own micro-négoçiant project in 2012. The wines live in a stunning building built in 1850 with a splendid arched cellar, housing 200 barrels. Pascal works with fifteen farmers / vineyard owners with vineyard holdings across Burgundy, personally selecting and tending the plots he chooses to work with. Pascal’s winemaking philosophy is very non-interventional. All the wines are fermented with native yeasts and undergo malolactic naturally (depending on vintage). In 2016, a “salty” year, the whites all completed malo while in 2015, Pascal chose to halt malolactic. The wines rest in barrel with no lees stirring/ bâtonnage. 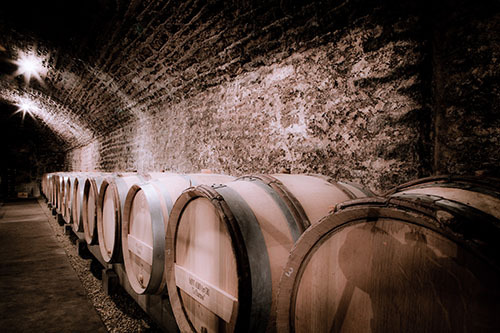 For reds, Pascal prefers Rousseau barrels and whites are in Damy, Billon, and François Frères. Recently, Pascal started moving to larger 500L casks for aging, finding better balance of wood to wine compared to the 225L Burgundy barrels he had been using. .
BURGUNDY || Running a thin line from Auxerre in the north to Lyon in the south, the vineyards of Burgundy are revered, idolized and worshipped, especially those that fall in the Côte d’Or, or “Golden Slopes.” There are thousands of small-scale growers, often with only tiny parcels of land - in some cases mere rows - which means most Burgundy producers operate as négociants out of neccessity. 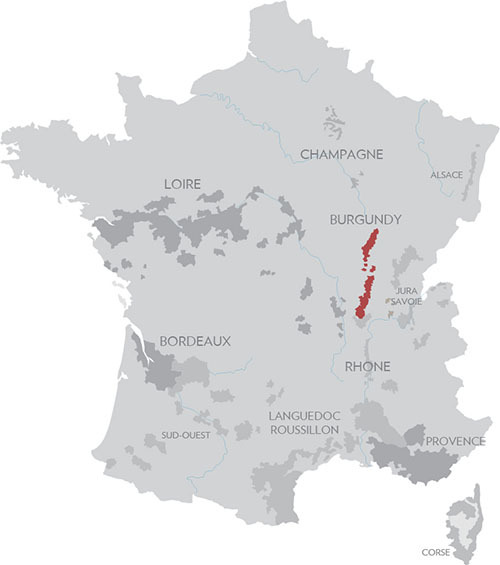 Wines are classified from regional appellation (AC Bourgogne) up through Premier Cru and Grand Cru vineyards. 2015 Pascal Clement Gevrey-Chambertin "Les Evocelles"